Mathematics is a human activity. We believe that in order to maintain our legacy of excellence in research and education, it all comes down to people – embracing and celebrating our different experiences, cultures and perspectives. For this reason, we are deeply committed to achieving equity and enhancing diversity among our faculty, students and staff. We foster diversity and inclusion within our department and community, including persons of varying abilities/disabilities, age, ethnicity, gender, gender identity, geographic region, national origin, race, religion, sexual orientation and socioeconomic status. Our department is dedicated to the recruitment, retention, and advancement of talented faculty, students and staff specifically from historically underrepresented groups. Women in Math (WIM) at the UCLA math department is an informal group of women graduate students, postdocs, faculty, and visitors. They regularly hold lunches, dinners, and other social gatherings with the goal of fostering community and providing support for the women in the department. 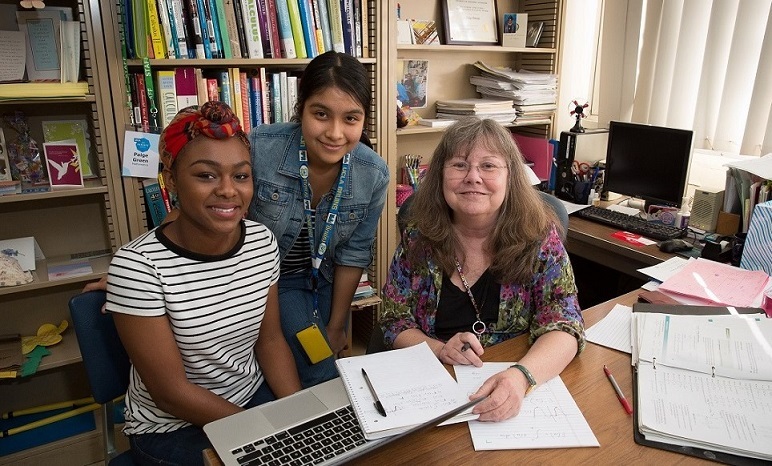 Women in Math Mentorship Program provides undergraduate women who are interested in or pursuing careers in mathematics with access to advising by current female graduate students and postdoctoral scholars. Please click here for other student resources within the Physical Sciences division. We were represented at the 2018 Field of Dreams Conference hosted by the The National Alliance for Doctoral Studies in the Mathematical Sciences (Math Alliance). The Alliance introduces potential graduate students to graduate programs in the mathematical sciences at Alliance schools as well as professional opportunities in these fields. We plan to be represented at the 2019 Conference for African-American Researchers in the Mathematical Sciences (CAARMS). This conference highlights current research by African-American researchers and graduate students in mathematics, strengthens the mathematical sciences by encouraging increased participation of African-Americans and members of other underrepresented groups, facilitates working relations among them, and provides assistance to them in cultivating their careers. We plan to be represented at the 2019 National Association of Mathematicians (NAM) Undergraduate MATHFest. This is a three-day conference held annually to encourage students to pursue advanced degrees in mathematics and mathematics education. The event is geared for undergraduates from Historically Black Colleges and Universities (HBCUs), although all are welcome to attend.